In South Africa, there are still areas where a household washing machine is a luxury. Entrepreneurs have been able to become quite successful by offering a low price point service to these communities. There are other areas in which laundrettes can still find a lot of success. Hospitals, schools, resorts and hotels all need to get their washing done and your laundrette could be the business to do it! However, when it comes to selling your business, these are all potential markets for the buyer of your business that could make the sale more attractive. You should identify potential markets into which your business could expand. This will entice buyers because of the potential future growth of the business. If a customer can see that there are ways in which the business can grow and expand, they will be more willing to choose your business over others. Some of these areas that you are able to expand into could also be worth pursuing before you put your laundrette onto the market. This way you will be able to boost your profits. You can also boost the profits on your books by cutting down on unnecessary expenses. 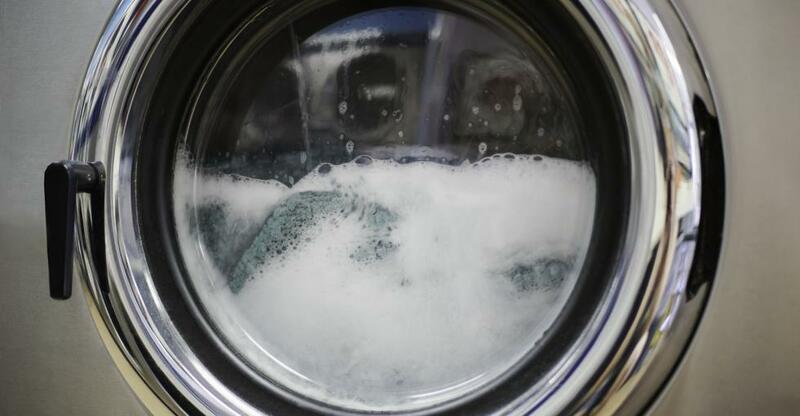 The value of your launderette will also depend on the market, the assets of the business and the goodwill that you have built up over the years. Do you have contracts with clients such as local hotels? If these will be continued after the business has been sold, they will have value for a buyer because there are guaranteed profits. Buyers will also want to be able to clearly make sense of the finances of the business. There is often only one or two people running the laundrette which leads to personal and business finances getting mixed together. Make sure you separate these finances before you put your business on the market. Knowing what it is about your business that gives it value will help you to point that out to any potential buyers. Be clear about what it is that makes your business stand out from others like it and use this to market your business. This could be anything including your location, your employees or your brand. Whatever it is, it should help to market your laundrette. Reaching a wide audience is a good way to find the right buyer and the easiest way to do this is to market your laundrette online. A laundrette, although quite a niche business, could appeal to any entrepreneur looking for a good investment. Finding a buyer could mean making your business visible to as many people as possible. Finding a good and reliable broker can assist with this, however, you should make sure that the broker has a proven track record. If you are really hands-on in the business, though, using a broker can help to take some of the pressure off you during the sale process. To find out more about how to sell your business read through our Selling Guides.